The companies responsible for the management of water networks, in addition to meeting strict quality and safety standards to ensure the health of the population, have the enormous responsibility of managing this natural asset in the most efficient manner, and with the least possible environmental impact. The rapidly deployable Kunak K111 and K101 Dataloggers allow the monitoring and remote control of infrastructures and environmental parameters in any place, outdoor or indoor. 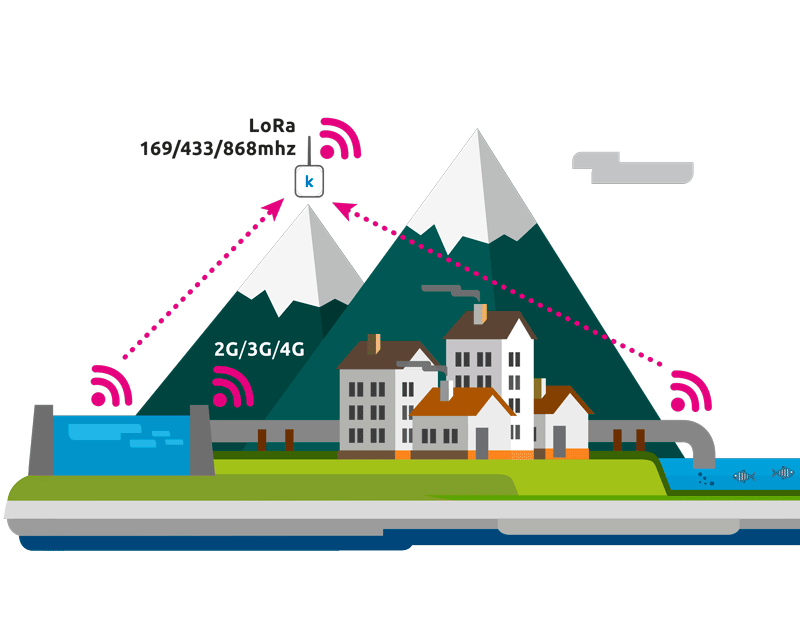 They capture high precision data 24 hours a day, 7 days a week and can wirelessly send these to the Kunak Cloud, ERP or SCADA, allowing companies to remotely manage and control water networks from any place and from any device with the peace of mind that they are always in the know.